Ireland’s summer months can be especially hard on some flowers due to the amount of sunlight they get. However, there are a number of flowers that thrive during our warmest months, and can make gorgeous arrangements when you’d like to give a fresh bouquet. While it is possible to coax other varieties into bloom during the summer, and some flowers hold up well if they’re shipped from other parts of the world, the ones you’ll find on this page do quite well right here, and are your top picks when you want to wow someone with a floral gift. Almost all kinds of roses thrive during the summer months, which makes it easy to give the traditional flower of love at any time. Interestingly, the delicate and short-lived Helleborus, or Christmas rose, is also in bloom right now. Roses come in countless sizes, shapes, and colours, so it’s possible to incorporate them in any bouquet for any reason. There are many different kinds of orchids as well, though they’re fairly easy to distinguish from other types of flowers. They have a unique shape that has been described as feminine, whimsical, and even magical. They come in various colours, each with its own meaning. Should you give a potted orchid, they’re especially easy to take care of, and only need one or two ice cubes per week to stay healthy. Lilies are also instantly recognizable, for their dramatic long and tapered petals. There are many different meanings behind the gift of a lily. They tend to symbolize purity or friendship, though they’re often given as sympathy flowers as well. There are literally hundreds of flowers that bloom during the summer months, and it’s difficult to know them all unless you’re a local florist. However, the ones you’ll find on the list below are fairly common and all bloom during the summer. If you’re looking for the perfect summer bouquet to give someone, consider choosing from the flowers on this page. You can also browse the arrangements that are handcrafted right here at Bloom Magic. Each bouquet of flowers is top quality and includes only the freshest flowers available, so you can be sure your gift will arrive beautiful and retain its lustre for a long time. 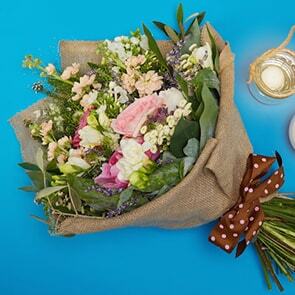 To find out which fresh flowers are available online now, search for flowers delivered by the location of your recipient.